The Montreal Citizen's Movement, a municipal party created in 1974, was a broad coalition which included union members, Parti Québécois militants, members of the Quebec wing of the New Democratic Party, independent radicals, and a significant number of anglophone intellectuals. 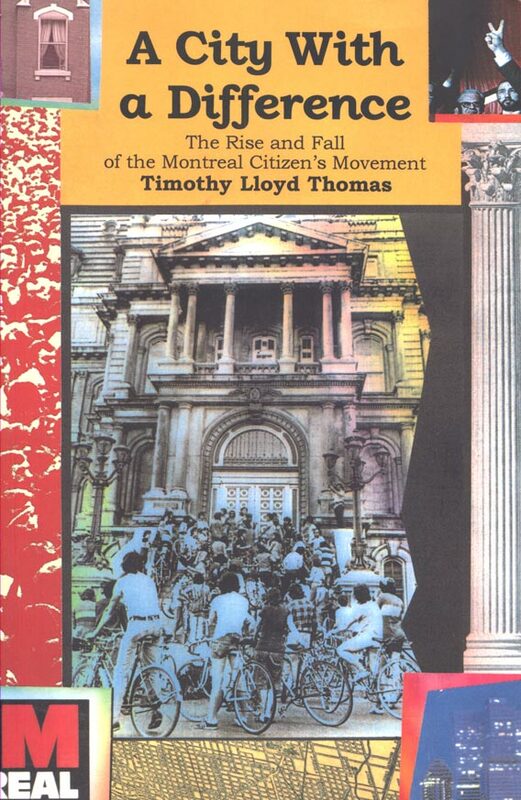 In its ten years in opposition [1974-1984], and its two terms in power [ending in 1995], the Montreal Citizen's Movement had a powerful influence on both the policy and process of Montreal's municipal government.A City With a Difference describes how electoral pragmatists and ideologically-driven social activists co-existed within the same political structure of what theorist Herbert Kitschelt calls a left-libertarian party. From the years in opposition to the years in power, the author chronicles the MCM's triumphs, failures, conflicts, and compromises. Timothy Lloyd Thomas is an Assistant Professor in the Department of Politics and Economics at the Royal Military College of Canada, Kingston, Ontario. He is the editor of the reader The Politics of the City: A Canadian Perspective.